Free Printable Preamble - C.R.A.F.T. Just curious… did you have to memorize the Preamble of the United States Constitution in middle school? I did! And I can still recite it for you to this day! But, just in case you don’t know (or forgot) the Preamble is the introduction to the United States Constitution and explains its guiding principals. 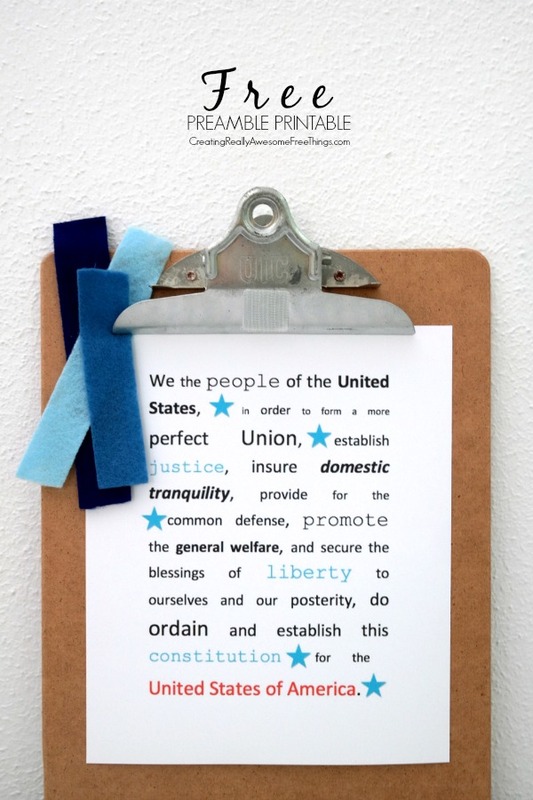 The preamble printable also makes for a cute Memorial Day, 4th of July, Constitution Day or Election Day decoration! To get your free printable, just enter your name and email address below and the free file will be delivered to your inbox! totally going to use this to have my kids memorize it! thanks so much! Great printable and love the patriotic linkup! Thanks for sharing with Small Victories Sunday Linkup last week. Pinning to our linkup board and hope you joined us again this weekend. Don’t forget you can add up to 3 of your BEST posts each week! This is cute! Thanks for sharing! And thanks for visiting our Family Joy Link-Up! Hope to see you again next week! Very cool! 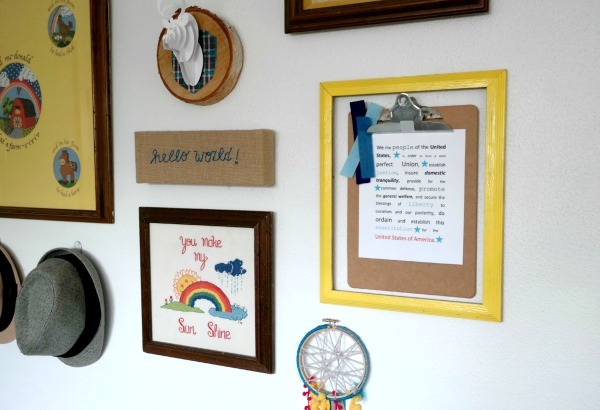 I love printable wall art and this one creates a great teachable moment for the kiddos too! Thank you for sharing on Family Joy Blog Link-Up Party. Have a great week! Thanks for linking up with us this week at Family Joy Link Up Party. Love this printable. I love this! I’m so obsessed with free printables these days. Thanks for making and sharing! A great print out and it’s so fun that it has such meaning! Thanks for sharing with us at Throwback Thursday!